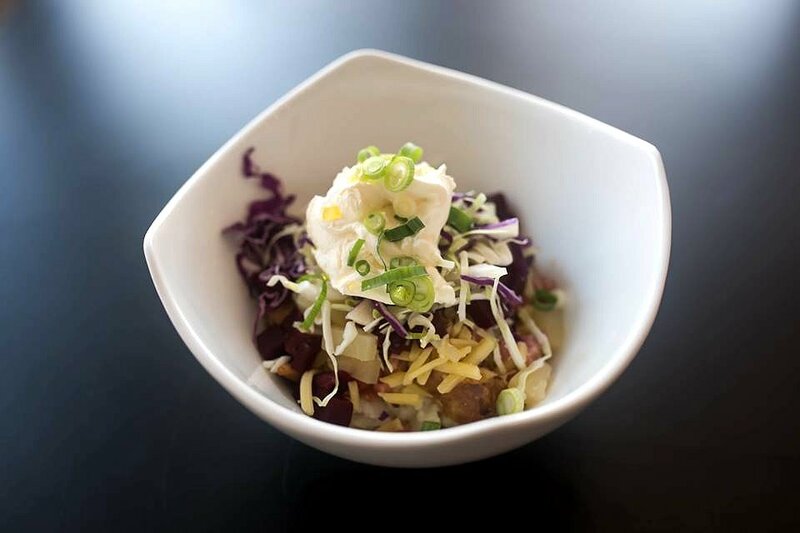 Former owners of HypnoThaized and Tongue Thai’d have opened their newest store on Melbourne Street, which is aptly named Spuds for their inclusion of potatoes on the menu. After running two very successful restaurants for about 8 and 3 years respectively, the owners have opened their doors to Spuds with the idea of providing a more relaxed and casual dining spot in the hub of working professionals on the city fringe of Adelaide. The décor of the café screams qualities of quaintness and delicate details, with minimalistic designs that adorn their walls, cozy and comfy seating spaces (that can house up to 24 people) and friendly staff who are there to provide you with some healthy and delicious eats for lunch and/or dinner. Adelaide Food Central was kindly invited to sample some of the options from the Spuds menu, where all food and drink was provided free of charge. We first sampled the Chicken Breast and Avo with grilled chicken breast, avocado, baby spinach, capsicum, spring onions & sour cream. We loved how light and refreshing this dish was. The chicken breast strips were cooked to a wonderful crisp, the creaminess of the avocado complemented the sharpness brought by the flavours of spinach and the crispiness of the spring onions, and the sour cream was a fitting topping that brought the individual ingredients together nicely. We also had the opportunity to try the Pulled Lamb with slow-cooked lamb, red onion, cabbage, corn, baby spinach, peas, cucumber yoghurt & spring onions. While the rosemary was strong in flavour in this dish, it blended well with the other ingredients and gave this dish the ‘zing’ factor. The lamb was beautifully cooked to provide for a juicy and tender texture. 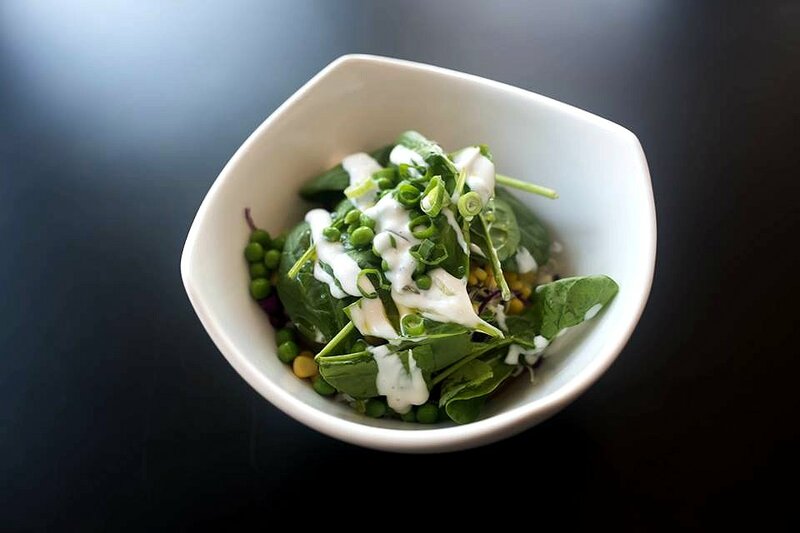 The red onion, corn, spinach, peas, and spring onions provided with a fresh and healthy take on the salad. They all tasted really well with the lamb and the spud mash that was hiding at the bottom of the bowl. We then tried the Hawaiian with bacon, cheese, beetroot, pineapple, shredded cabbage, sour cream and spring onion. This was our favourite salad of the lot. The saltiness of the bacon balanced out the sweetness from the beetroot and the pineapple to give us a satisfying aftertaste. All the ingredients in this dish worked well with each other and would make for the perfect takeaway option, especially if you’re after something that’s a cheat meal (while still having some healthy bits to it)! The space may be small, but it’s so inviting that you will want to stick around and enjoy your salads to the fullest! 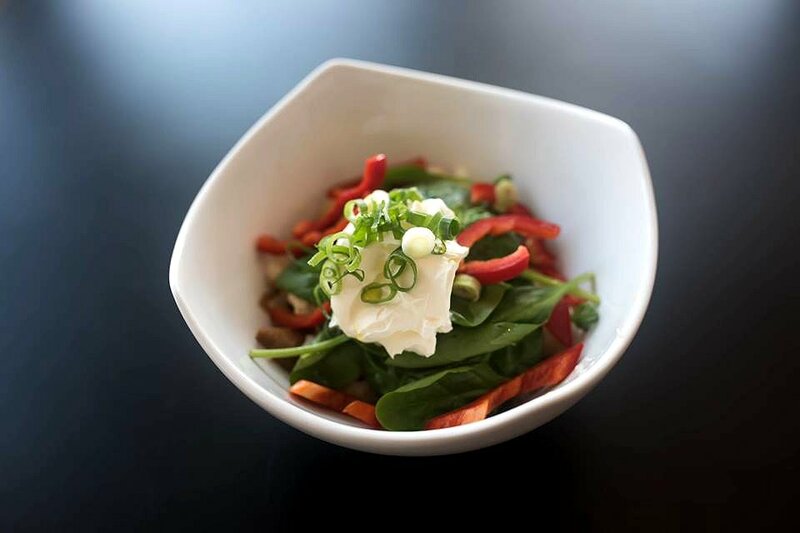 Located opposite a picturesque mural at the Minima Hotel, you’ll be treating yourself to some healthy AND enjoyable treats in the company of some lovely people who work hard in making sure that you have a satisfying dining service! Next Post Moro – Eat Life Up!